So important, so weighty, so meaningful is the decision that it is sometimes a wonder that any of us manage to cross that threshold! We think of the many things we do in our lives and the remarkable pressure we feel to perform. We come up to bat in the bottom of the last inning, two outs and runners in scoring position; we sit in classrooms with our palm sweating, waiting to take an exam; we argue in courtrooms and make investment decisions; we move our families from one community to another… the list goes on and on. There is so much we have to do, and so much we have to get right. Imagine then the incredible pressure Eliezer felt when he was sent out by Abraham to find a wife for his beloved son, Isaac! What decision can we make that is more fateful than the choice of a lifetime mate? From that decision unfurls years of happiness, successful child-rearing, the blessing of a home filled with learning, respect and holiness. Finding the right mate can be fraught with uncertainty; a decision of remarkable moment. So important, so weighty, so meaningful the decision that it is sometimes a wonder that any of us manage to cross that threshold! Our tradition is clear when it comes to marriage. We do not share the “transactional” perspective of, say, the English gentry, where a marriage is first and foremost a matching of wealth and stature. For us, a marriage is not simply the wedding of families and assets, a brokering of business and power. No, Jewish tradition is clear that marriage is a holy union, one that God takes special delight in. We hold that, in fact, each one of us has a true soul mate with whom we are to share our lives, a soul mate that God has chosen for us. However, the task of recognizing who that special person is and engaging in the act of bravery necessary to make the connection is not for the weak of heart! Our perfect match might cross our path a hundred times a day. Or she may happen to be visiting family and crosses our path but once. We might share a plane, a railway car. We may fail to look up from a text at the exact right moment to find ourselves looking into the eyes of the one God has chosen as our beloved. Our beloved may be right there in front of us but we do not see her. There are so many opportunities to miss the moment when we might realize our perfect match. As Jews, the risk of not finding the perfect match is too great to leave to chance encounters; the great personal relationship drama of our lives is too essential to trust even our own transitory passions, the sudden lightness in our hearts or our own fleeting hopes and dreams. So, in our tradition, just as Abraham turned to his trusted servant to find a match for Isaac, we turn to the matchmaker, the shadchan, to ensure our perfect match. In this age of J-Date, bar scenes, parties it seems that finding a mate is near impossible. But do we really believe that finding the life mate God intends for us is any more or less difficult now than in the past? Imagine how difficult must it have been for Abraham seeking a mate for Yitzchak? Living so far from his kin. Seeking the mate who could perpetuate values, morals and ideals with which to create a Godly nation. After the early promise of becoming the father of a great nation, Abraham waited a lifetime before being privileged to have a son. Abraham knew he would have to find for him a life partner wholly committed to the ideals Abraham and Sarah had instilled in Yitzchak. How to find such a mate? Who could he send in search of that perfect, God-chosen match? In Abraham’s eyes, there could be no Shadchan as trustworthy as Eliezer. Who but his own loyal servant could find the right girl? Who but Eliezer fully understood the role Yitzchak’s wife would fill as the second of our imahot? Trusting Eliezer to find the perfect wife for Yitzchak, Abraham instructed him where to go and what to look for. Preparing to go out to fulfill his master’s directive, he paused to ask what even now seems to be a logical question, “Perhaps (ulai) the woman will not go after me?” Perhaps, he wondered, even if he found the perfect woman for Isaac, she would decide not to return with him! This “perhaps” speaks to so much that is fraught in the finding of a match! Rashi cites the Midrash which focuses on the spelling of ulai (alef, lamed, yud) and notes those same letters could also be read as eilai – “to me”. Could there be any consequence to the “missing” vav? 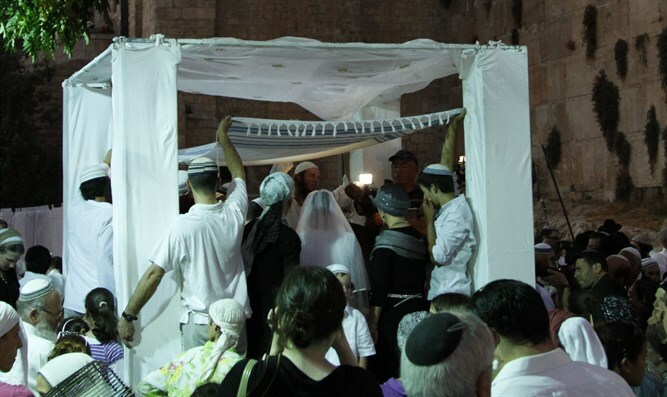 Our tradition suggests that every letter, every space of Torah has meaning and is there for a reason so certainly this “missing” vav teaches us something about the narrative, about Eliezer, and about matchmaking itself! Imagine! The most prominent member of the community assigning a task to his trustworthy Shadchan only to have the Shadchan act in a self-serving manner and suggest his own daughter, overlooking his own deficiencies emanating from the cursed Canaan! What chutzpah! What disloyalty! But why does the Midrash attribute such disloyalty to this most loyal of all servants, to one who lived in Abraham’s tent and imitated his ways? Just because of the letter combination ulai /elai? This is not the accusation of an innocent, honest shadchan. Quite the opposite. As we learn, Eliezer used phraseology which gave away his true intent. Often, it is the use of a single word rather than another which betrays our deepest thoughts and intent. A single word can convey an entire message; just one word …. The Gaon of Vilna explains that there are two words in Hebrew both meaning “perhaps” – ulai and pen. Although both mean “perhaps” there is an important difference in connotation between the two. When one uses the term pen, he is suggesting that he hopes that the possibility spoken about does not take place, as in God’s warning against idolatry – hishamru la’chem pen yifte le’vavchem (Beware, lest your hearts will become seduced.) It is clear that God hopes that we not go astray and follow idolatry – pen. And that is why Chazal were critical of Eliezer’s true intent. He did not use the word pen. Instead, by using the word ulai, we learn that he did not want the woman to follow him. Instead, he hoped that by her not following, the result would be that Avraham would have no other option but to marry Yitzchak to Eliezer’s daughter. Many might assign deviousness to Eliezer’s thinking here. But Reb Yitzchak of Vurka suggests another thought – as long as Eliezer was in Abraham’s company it never entered his mind to contemplate a marriage for his daughter to Avraham’s son. It was only when sitting in the company of Bethuel and Lavan, seeing and experiencing who these mechutanim are that he thought to himself, “I am good enough for these people; I am certainly worthy of such a shidduch…” and began to imagine his own daughter married to Isaac. Oh how our minds play tricks on us! How we rationalize and compromise, finding all manner of explanation as to why things should be the way we’d like rather than the way God intends! If the task of being a good and true shadchan was difficult for Eliezer, how much more so must it be for those in our own times who fulfill this sacred role? With so much license and power, twisted logic and devious thinking has the potential to wreak havoc and ruin lives! Though the ways of man are wily, the ways of God are true. When God determines a match “made in heaven”, even the trickery of man cannot keep the two apart. We would be foolish to believe that the need for a wise and insightful shadchan has lessened in our modern age or that the potential for deviousness and trickery amongst the shadchanim has lessened. We would be even more foolish to think that the pitfalls of finding an honest marriage broker have lessened since Eliezer uttered his “ulai/eili”. When I shared with my colleagues my intention to write about shadchanim I received a great deal of advice, most of it direct and to the point. “Tread lightly!” I was advised, as colleague after colleague shared horror stories of matches gone wrong. More than what goes wrong, how can we highlight what goes right when this difficult, sacred task is engaged? Aish.com suggested fifty ways to be a good matchmaker in an article. Some of the suggestions seem obvious (“Being single is hard enough, so be nice to people.) Others, more insightful (Your tone of voice matters. Speak nicely – especially when someone declines your awesome date idea.) But in order to really understand the challenges and the joys of being a good, modern shadchan nothing quite suffices as meeting one! Tova Weinberg, whom I vividly recall from my Pittsburgh days as dynamic and vivacious, has been a matchmaker for quite a while. When she meets someone for the first time, her initial question is inevitably, “Are you Jewish?” followed quickly by, “Are you married?” She holds in her head and heart a bursting – and virtual – Rolodex of the names of single Jews to be matched. Hardly born into matchmaking, she discovered her “gift” when she first came to New York, sent there by her mother to find a mate! There, an older friend, dedicated to matchmaking, asked Ms. Weinberg to help organize a singles party. There is no “ulai” in Tova Weinberg’s matchmaking. Just joy and dedication to helping others find the match that was dedicated to them at Sinai! 1) Every time you meet someone, who is not married, you are impressed with think of who you can set them up with, write their name down and contact info. 2) Keep a list of everyone you know that is single, and add to it as you meet new people, make two lists one for me and one for women and write down what you liked about them. 6) Be respectful of the decisions that singles make, and do not second guess them or give unsolicited advice. Do not push them into dating someone that they do not want to go out with and don’t ever make them feel that if they don’t go out with this person they will never marry. Value their judgments. 7) Be discrete, guard the privacy of the singles that you are helping and do not repeat details of their dates to others. 8) Don’t think you have to be a proven matchmaker in order to set people up. Anyone can set up a match, as long as you persevere and use common sense and compassion. Abraham’s experience with Eliezer teaches us the gift – and potential pitfalls – of the shadchan. Tova Weinberg teaches us that in our modern age, despite all the wondrous technology surrounding us, we are still as we were generations upon generations ago – human beings and Children of God, who benefit from a wise, honest and loving guide in finding the match God intends for us.